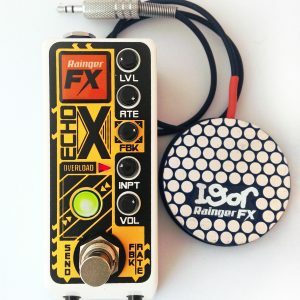 A collaboration between Rainger FX and Colorsound! Controls morph into Freakenstein controls! 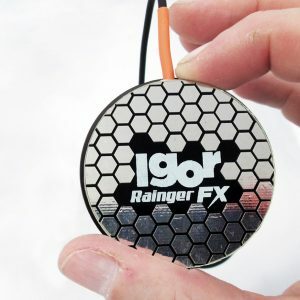 Cool Rainger FX colour scheme! 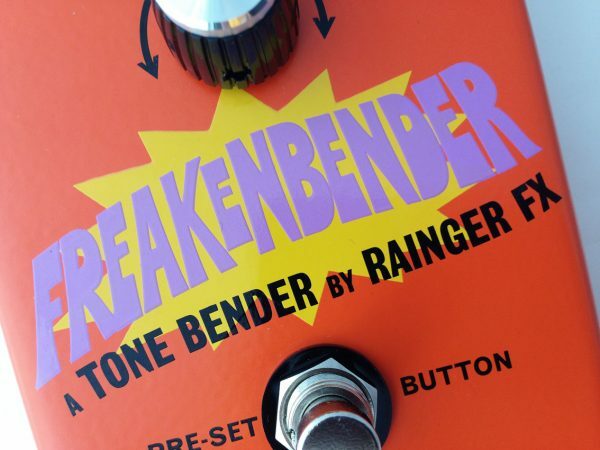 Rainger FX is very proud to announce the collaboration between Rainger FX and Colorsound, the makers of the original Tonebender (from way back in 1965, still going strong!). 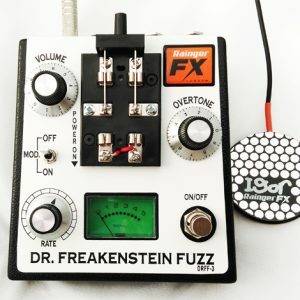 As used by Jimmy Page, Jeff Beck, Pete Townshend, Paul McCartney, Mick Ronson, Marc Bolan, Billy Gibbons, Kevin Shields, Eric Clapton, Ron Wood, Syd Barrett, Billy Corgan….. it’s now available incorporating Rainger FX’s Dr Freakenstein circuit!!! Turn the ‘drive’ knob up and it’s juicy Tonebender power all the way…. except in the last little bit of the turn the monster comes alive, and you’re into Freakenstein – in all its hi-intensity, gated fury! There’s a clean switch from one circuit to the other, the ‘tone’ knob turning into ‘overtone’. It’s a silicon Tonebender circuit (reverse engineered from one bought from Macari’s in 1980!! ), and retains clarity and playing dynamics even on high gain settings, incredibly satisfying to play. The Freakenstein meanwhile has no dynamics at all! 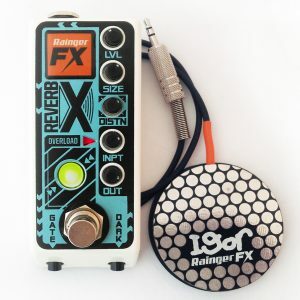 It’s a dense, full-on modern fuzz with a built-in noise gate (keep the guitar volume up full or the sustain will be compromised by the gate closing), and a pronounced tonal edge that scythes through any band mix. This is an incredibly satisfying combination, covering all bases for overdrive/distortion/fuzz. Housed in the iconic Colorsound enclosure, it also comes in expression pedal version – where the ‘overtone’ knob can be swept while playing with an external expression pedal. The Freakenbender is only available through Macari’s. Is this exactly the same basic Tonebender circuit? Is this exactly the same basic Dr Freakenstein circuit? How do you flip from Tonebender to Freakenstein? Just turn the last – highest – part of the drive knob, and the transformation happens! Can you have a blend of the two? No – that would be too much for a human being to stand. 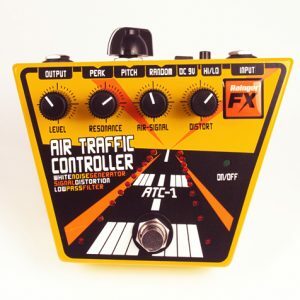 What kind of expression pedal would work with the modified one? Is the Freakenbender battery powered? Is this version authorised, legal etc? Yes – the Tonebender has had an endless number of copies/rip-offs, but this is official. Is it made in the UK? Yes – as much as is possible today. This is a brand-new UK icon….